The war of words between Reliance Jio and Airtel doesn’t seem to have an end in sight. 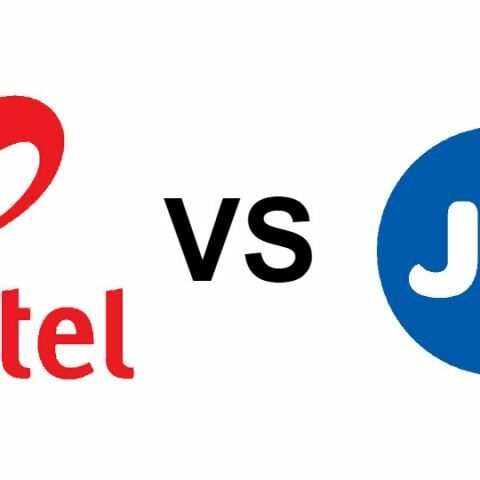 After locking horns over the Jio’s free calling and internet offers, the two companies are now arguing over Points of Interconnection (POIs). More specifically, the lack of POIs that Airtel is allegedly providing Jio. POIs are needed to connect users from one network to another. Earlier this week, Airtel had said in a statement that it has provided POIs well above the customer growth projection of Jio. It said that the capacity it has provided is ideal for serving over 190 million customers on the Reliance Jio network. As of December 2016, Jio had over 72.4 million customers on its network. Airtel alleged that Jio has been unable to activate all POIs and utilise the capacity that it has been provided. Following these statements, Jio slammed the operator, calling the statements a continuation of a “mischievous and motivated campaign.” Jio claimed that over 2.6 crore NLD calls were failing daily, leading to a call failure rate of 53.4 percent against TRAIs norm of 0.5%. This isn’t the first time that the two companies have tussled over POIs. Back in October last year, TRAI had recommended a fine of Rs. 3050 Crore on Airtel as well as Vodafone and Idea for refusing to provide adequate POIs to Jio. Jio had claimed that refusal of POIs had lead to a call failure rate of 75% on Jio’s network. Airtel later gave the regulatory authority all the data regarding the POIs in hope that the issue would be resolved. Jio’s offer of free voice calling and data is another matter of contention between the two companies. Airtel had filed an appeal to the the Telecom Disputes and Appellate Tribunal (TDSAT) challenging TRAI’s decision to allow Jio to extend its Welcome Offer till March 3. The telecom operator said that Jio’s free offers were affecting its services and creating a “significant prejudice and day-to-day-loss” for the company. Later, it filed a fresh appeal with TDSAT alleging that TRAI was “tacitly” allowing Jio to promote anti-competitive offers of free data and calling. TRAI later sent a letter to Airtel as well as Ideal informing that Jio’s Happy New Year offer was not violating the principles of non-discrimination, inter-connect rule compliance, and non-predation. It also added that the Happy New Year Offer was distinct from the Welcome Offer and cannot be treated as an extension of the earlier offer. Following the clean chit from TRAI, Airtel and Idea filed fresh appeals and TDSAT asked TRAI to clarify its position on Jio’s free offers. It asked TRAI if Jio informed the regulator and subscribers about Welcome Offer and Happy New Year Offer being distinct.